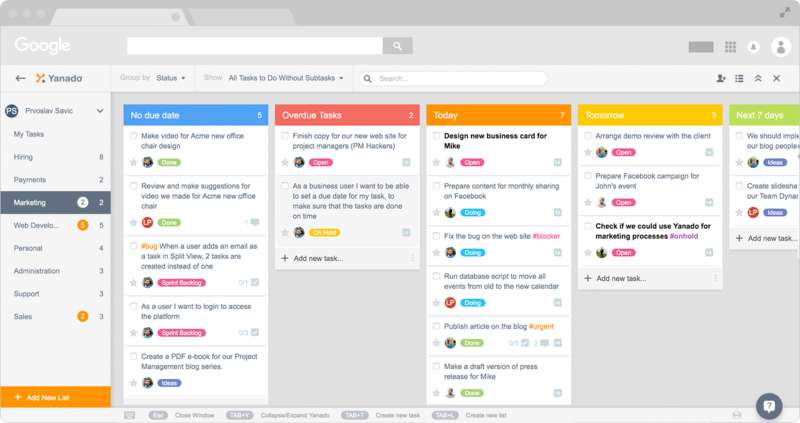 No need to waste time jumping between Gmail and project management tools. 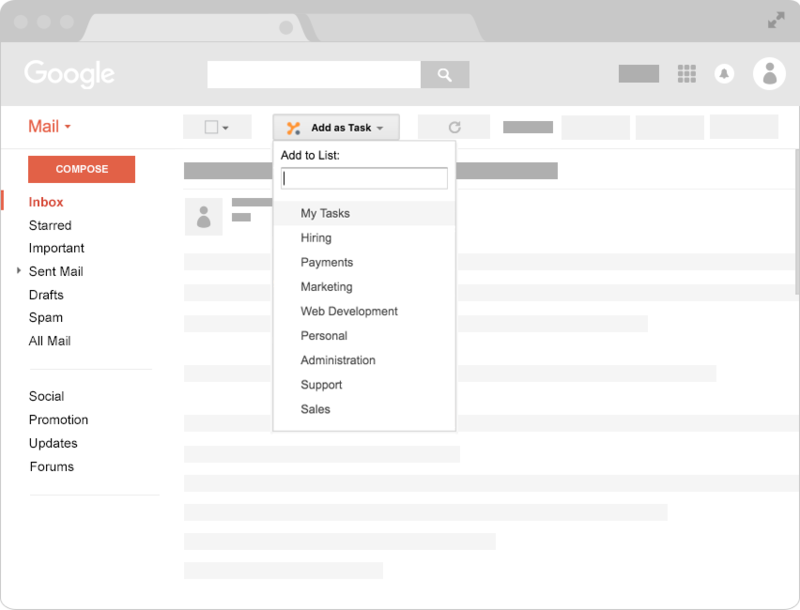 Manage your projects with Yanado right inside your Gmail. Stop losing focus and get the job done. Turn important emails into tasks. Use Gmail for emails, Yanado will take care of tasks. Yanado looks & feels like part of the Gmail. Just look at those notifications from Yanado! Teams around the globe love Yanado! As a productivity junkie, I've probably tested every task management system that exists. Yanado is one of the best systems I've ever used. Yanado makes it so easy to quickly process emails that the bulk of my time can be spent in the “doing” of real work without the baggage of living in email. Plus with its clean integration with Google Docs, having all reference material associated with any given task or project is a breeze. I've used a ton of top rated task managers that attempt to convert gmail into tasks and make it easier to manage email overload. Most a nice and clever, but Yanado is by far the best. I don't have to login to a separate program to see my tasks. It's integrated into gmail, yet it stays out of the way too. A perfect blend. Great job Ivan and team! Yanado does perfectly fit in my ( business ) workflow. It is well crafted, nicely designed and intuitively to be used. It offers 2 perspectives for approaching tasks and many more features. The Yanado team does respond very timely without exceptions and is open for feedback and enhancement requests — hat off to that. I love, Love, this app! It is the best we have tried. We have tried many apps in productivity category before finding Yanado and none came close to what this app offers. If you are looking to improve you company's productivity, organization, and using Gmail, this app is the must have and stay on top of all your interactions with clients and your team. I recommend "YANADO" very highly. The support they offer for the app is the best of the best. Thank you Yanado, for all the work you do to make our lives easier. Keep Rocking! 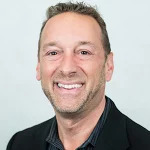 CEO - Brilliant Solutions Group, Inc.
Having tried most Gmail integration apps, settled with this one for its amazing set of features, usability and customer service unseen before. Plus, there's a browser version only, as well as a neat Android app that made Yanado an essential part of organising my daily life. Keep rocking, guys! Lovin' being able to organize all my tasks in my companies #GoogleApp with Yanado. Elegant, powerful and not hard on the eyes! Yanado has brought our efficiency to a whole new level. We have been through several task managers and they always fall short in one area or another. Yanado is the first to cover all bases and it's focus is on what truly matters. With the support being top notch and always seeking ways to improve, one would be hard pressed to find another task management app that would compare. 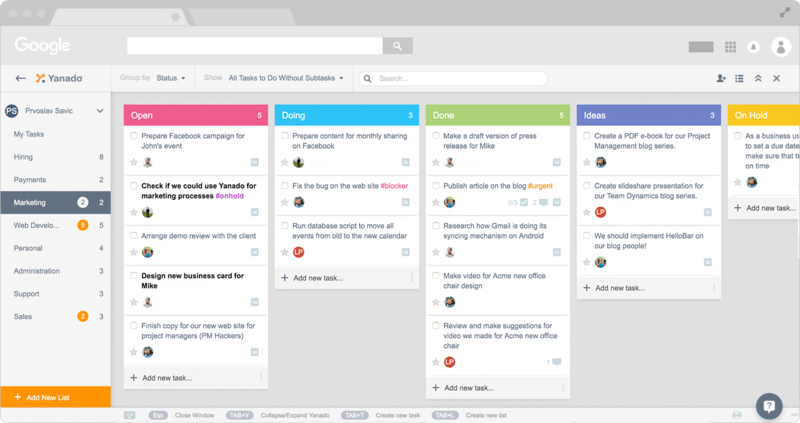 Manage project progress and track who is doing what in your team. 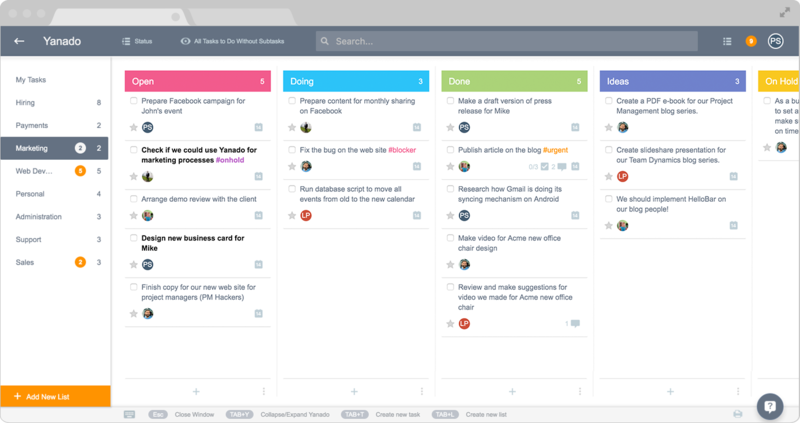 Create tasks and TO-DO lists within seconds. Receive project updates right inside your Gmail and reduce the number of emails you are getting. 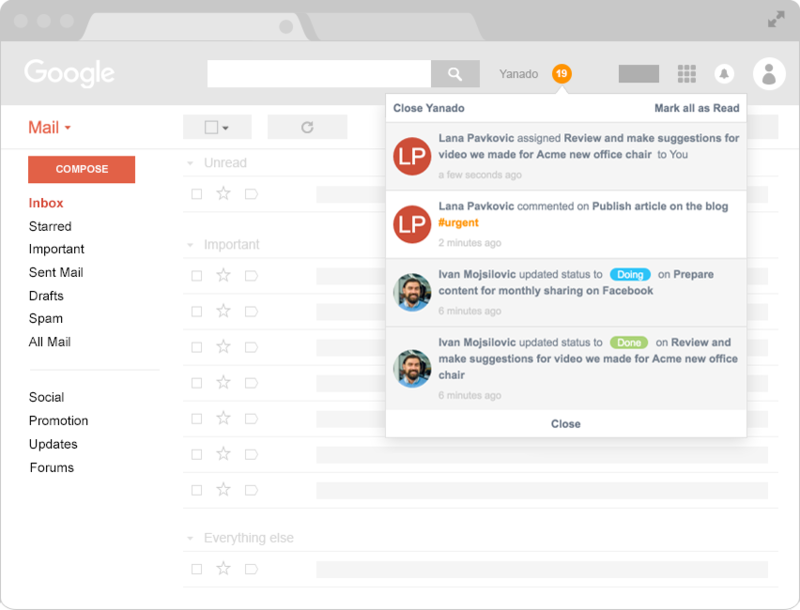 Create tasks from emails with a single click, add them to projects and set reminders. Never miss a deadline again by setting due date and reminders on your tasks (synced with Google Calendar). Choose between a simple list or a kanban-view with cards to easily visualize your work. Delegate tasks and discuss details with your team members. Subtasks are great way to breakdown complex task into smaller steps. Use tags to improve search and organization of your tasks. It’s not about technology. It’s about people. We will provide the best solution for your team to find it’s balance. Yanado works inside of the Gmail, so your team can get started quickly and stay focused on work - not learning new software.